Samsung just recently revealed their latest flagship phones for 2019 which is the Samsung Galaxy S10. Samsung has really done a good job. The phone has excellent quality camera’s, performance and display. Samsung has always been known for its quality, and especially for their display’s, The phone was launched globally and is termed as the best flagship phone for 2019 by some tech experts. The Samsung Galaxy S10 has received some updates, and this is why this article is made. 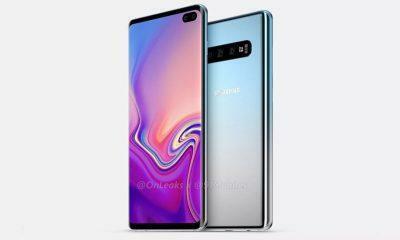 The Samsung Galaxy S10 comes with a 6.1inch Super AMOLED Display with a hole punch cutout on its front replacing the notch with a resolution of 1440 x 3040 pixels and an aspect ratio of 19:9. The phone is powered by the latest Snapdragon 855 in some markets and the Exynos 9820 processor in some markets. The phone has a triple camera setup of 12MP Primary shooter + 12MP telephoto lens and a 16MP ultra-wide angled lens. On the front, the phone sports a 10MP front-facing shooter to give some sharp selfies. The phone has an under-display fingerprint scanner and a 3.5mm headphone jack as well. The phone has a 3400mah battery to go. The phone comes with Wifi 6 as well. 18 April 2019 – Samsung is no pushing out a new update for the Galaxy S10 which brings a dedicated Night mode to the Galaxy S10’s camera and increase the night time shooting capabilities of the phone. The update is currently rolling out in Switzerland and will be pushed to other regions soon as well. 14 April 2019 – Samsung has started rolling a new update for the Galaxy S10 and the Galaxy S10 Plus. The new update comes with improvement to the Ultrasonic fingerprint sensor. GSMArena has reported that the fingerprint sensor is working faster and is more reliable now. We’ll advise all the Galaxy S10 and Galaxy S10 Plus users to update their phones right away. The update will be available via the Galaxy Store app. 25 March 2019: Samsung has started rolling out a new major update for its S10 devices with the version number being G973FXXU1ASC8 with an update size of 463MB. The update aims at bringing improved Wireless PowerShare capabilities and March 2019 Security Patch. 27 February 2019: The Samsung Galaxy S10 has received its first update and brings the most awaited feature to remap the Bixby button along with a new Instagram mode which seems to boost performance while using the Instagram app. 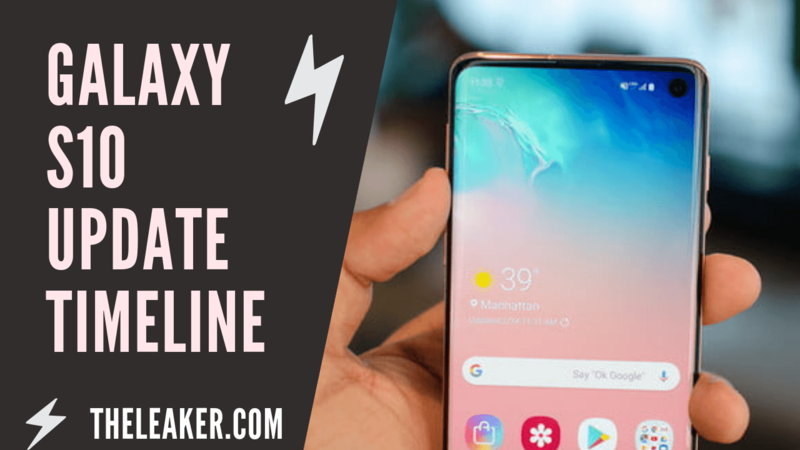 The Samsung Galaxy S10 was launched with Android 9.0 Pie with OneUI on board, and as it is a flagship phone, we can guarantee that the Galaxy S10 will be receiving the Android Q Update some months after it is launched by Google. Seeing Samsung’s records, we have made this report. The phone will get Android 10 Q with OneUI on top only.